A guest ranch for all ages. Adults enjoy refined luxury accommodations, fine dining (wine pairings), sauna & spa. Kids love horses, ATV riding, fishing and our pool. 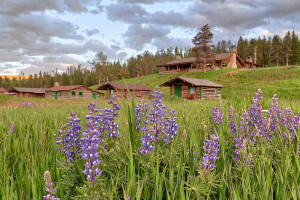 Enjoy the modern convenience of some of the best ranches in the Yellowstone area, with home cooked meals, warm fire places, & horseback riding available! Visit us online. Discover a hand-picked selection of cabin resorts, rentals, and getaways in Yellowstone National Park. 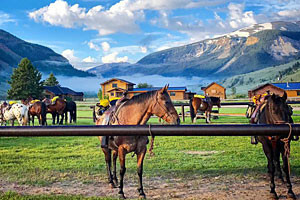 3 to 7-day adventures include cabin lodging, fly fishing, horseback riding, hiking, campfires, dining and more. 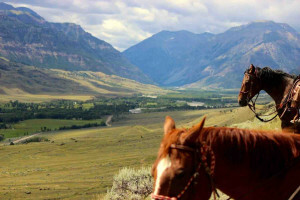 Riverfront location near Jackson Hole, Save 15% May & June. Proximity to Yellowstone Park and Jackson Hole gives you an ideal destination to hang your hat and get acquainted with the beautiful, wild West. Summer vacations since 1927! Stay and play in an absolutely beautiful setting, near Cody. Beautiful cabins and horseback riding. 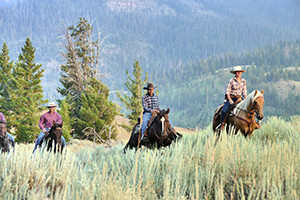 Celebrating 40 years, our all-inclusive guest ranch stays include cabin lodging, horseback, meals & more. Discounted rates from mid-May to mid-June. Fun horseback program. Though horsemanship is one activity we offer at our ranch, guests also enjoy swimming in our outdoor pool, tennis, hiking, and private fishing. Select from cabins or homes. 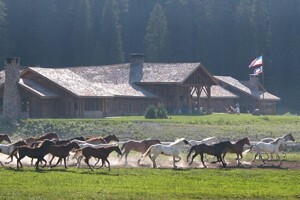 Enjoy your stay in one of the many guest ranches in East Yellowstone Valley outside of Cody. With gorgeous views from every angle, all our accommodation options will please! 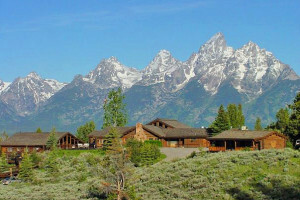 Jackson Hole Wyoming's finest, provides an unbeatable value for business retreats, family groups, or small weddings. Amazing views, lodging and dining. 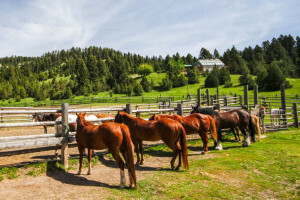 Located between Yellowstone National Park and Cody, this family-owned guest ranch is the perfect base camp for fishing, horseback riding and excellent Western dining! All-inclusive vacations perfect for everyone, from the littlest buckaroo to Grandpa and Grandma. Offering the very best dude ranches in the west! 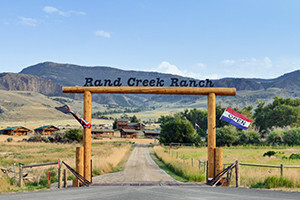 Offering traditional guest ranch amenities and activities (cabins and rental home lodging), horseback riding, on-site fishing, restaurant and bar, kids program & more. Enjoy a slice of the old West with us on a 7 night stay at the 7D Ranch. 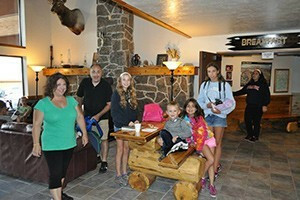 Cozy cabins, riding, fishing, hiking and children's programs available. 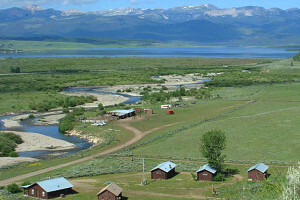 Enjoy the beauty of the Wind River and Absaroka mountains while fishing, horseback riding, hiking, cooking out, wildlife watching at our intimate ranch. We would love to show you Codys rich history and introduce you to adventures including wilderness pack trips, trail riding, rafting, hiking. Beautiful mountain ranch with warm log cabins, 3 mi. from Yellowstone. Wonderful meals, fly-fishing, horsepack trips and plenty of hiking. Your private Montana haven. Luxury accommodations for 30 guests on 115 Acres with a mile of Shields River. Look Forward to Laid Back. 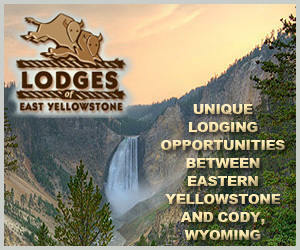 Offering historic and elegant accommodations, 5-Star cuisine, and guided trips into and around Yellowstone. 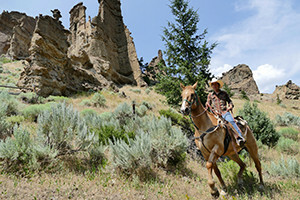 Discover and enjoy the beauty of the West at Mooncrest Ranch. Just 9 mi north of the Yellowstone Park highway in beautiful Rattlesnake Canyon. A unique and secluded location. 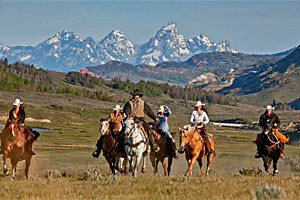 This summer dude ranch is located within Grand Teton National Park and offers lodging, dining, and activities. Our friendly staff is waiting for you. 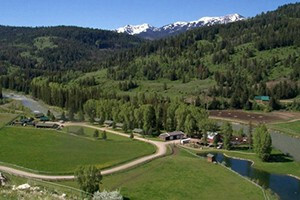 Relax and rejuvenate at our beautiful, secluded southwestern Montana ranch, 30 minutes south of Livingston. 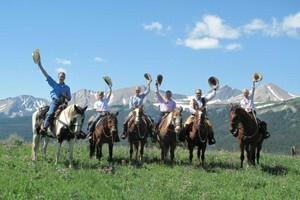 Horseback riding, cabins, dining, all in a great ranch atmosphere. Stay in the Rockies in one of our rustic log cabins, or try a Native American Teepee for a night. RV hookups and washhouse facilities also available. 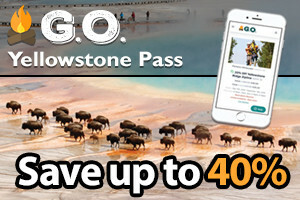 Experience the old west year round! Comfortable lodging, delicious meals, fun entertainment and daily activities and outings await. Summer stays require 2 or 5 night packages. Horses, Hats, History and Hospitality.